Benjamin Zhang/Business InsiderOur 2018 Porsche Macan GTS test car. The base 2018 Porsche Macan starts at $US47,800 while the top-spec Macan Turbo with Performance Package starts at $US87,700. 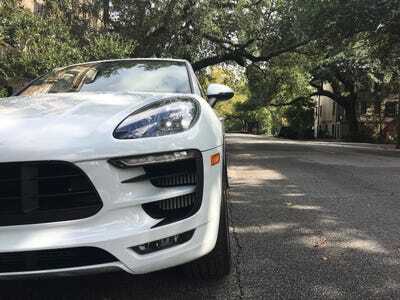 The Macan GTS starts at $US68,900. 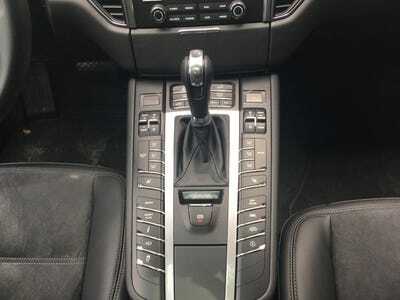 With options and fees, the as-tested price came to $US81,310. 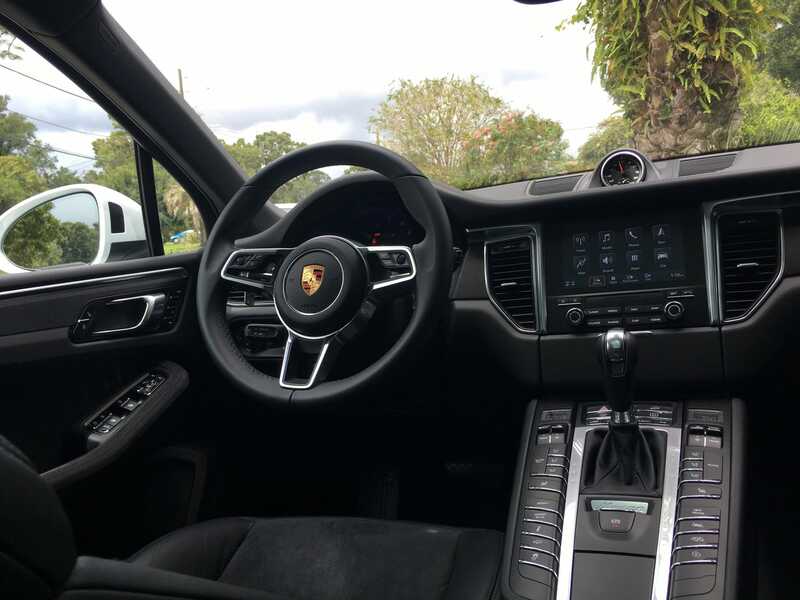 The Macan GTS impressed with us with its traditional Porsche sporty demeanour and solid feature content. The Porsche Macan is one of the great automotive success stories in recent memory. 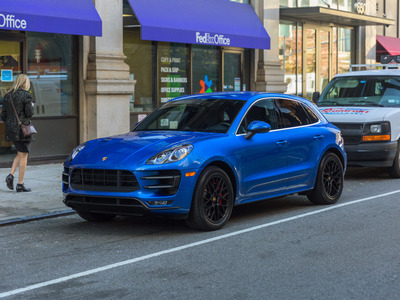 The Macan is Porsche’s best selling model and accounted for 39% of the German brand’s US sales last year. In fact, the only thing keeping the Macan’s sales growth in check is the pace at which Porsche can churn the SUVs out at its factory in Leipzig, Germany. 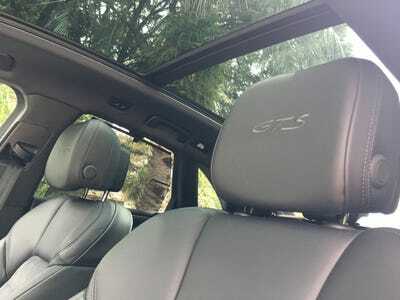 At the 2018 Paris Motor Show, Porsche launched an updated version of its hot-selling SUV. 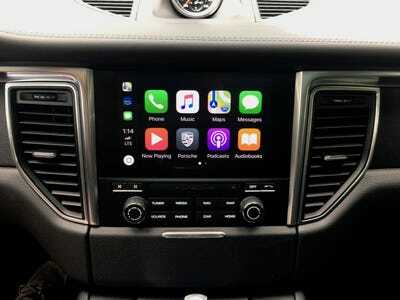 However, that car won’t appear in US showrooms until the middle of next year. 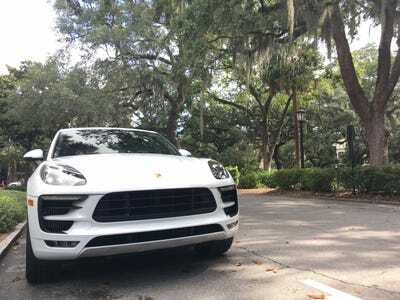 In addition, the only variant of the “new” Macan we’ve seen is the base model with a turbocharged inline four-cylinder. 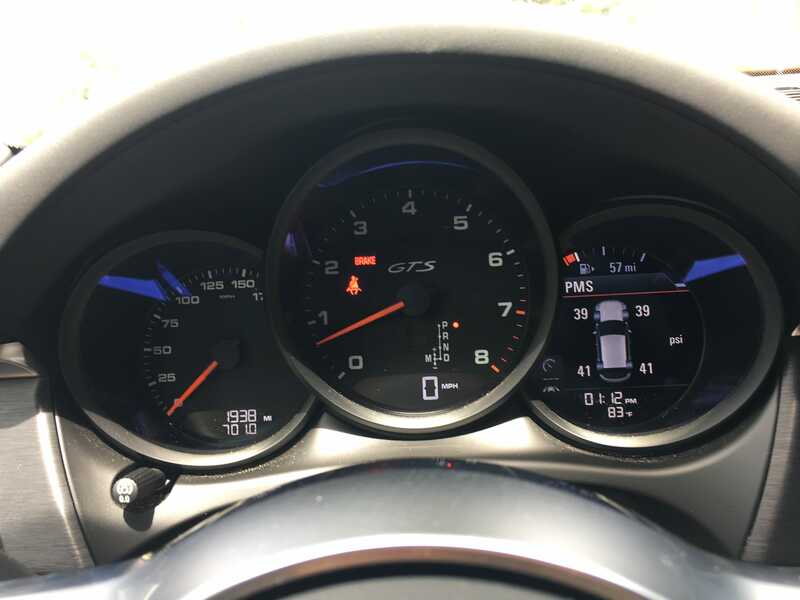 Read more: We drove a $US152,000 Porsche 911 GT3 to see if it’s still the greatest sports car of all time – here’s the verdict. 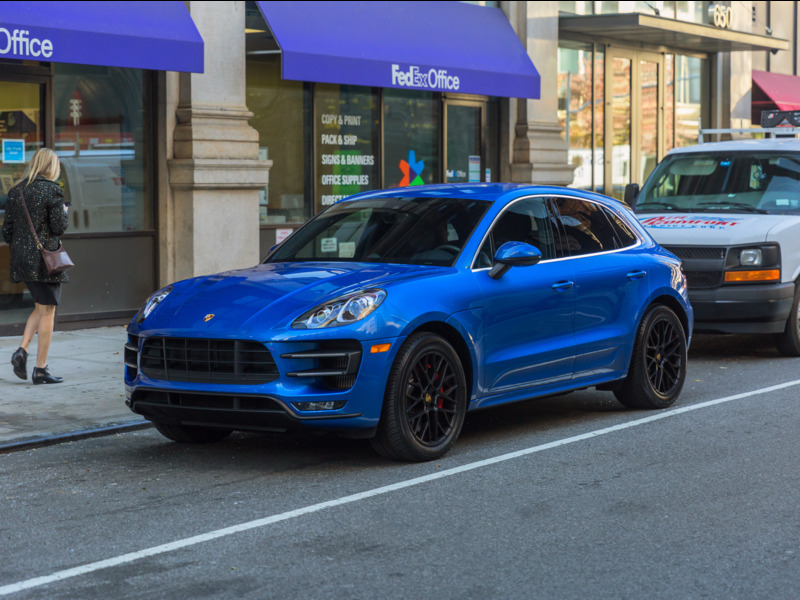 The Porsche Macan can be had in six different flavours. They range from the relatively tame four-cylinder base Macan to the top of the line Macan Turbo with Performance Package, which boasts a stout 440 horsepower. 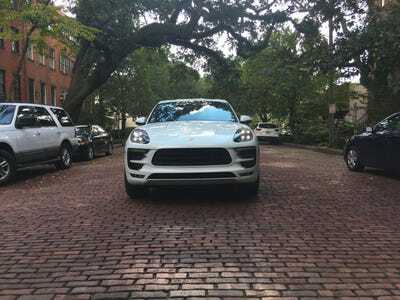 In between, there’s the Macan S, Macan Sport Edition, Macan GTS, and Macan Turbo. The base Porsche Macan starts at $US47,800 while the Macan Turbo with Performance Package starts at $US87,700. 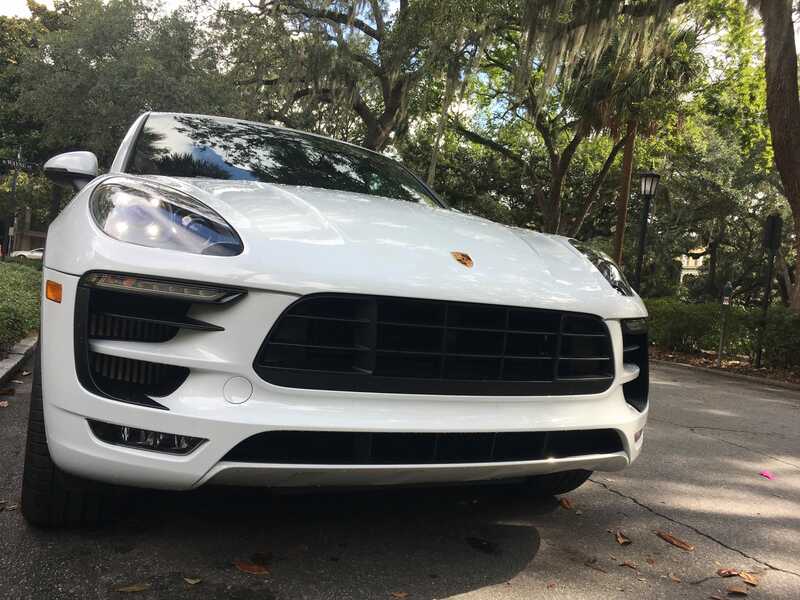 Our Carrera White Metallic 2018 Porsche Macan GTS starts at $US68,900. 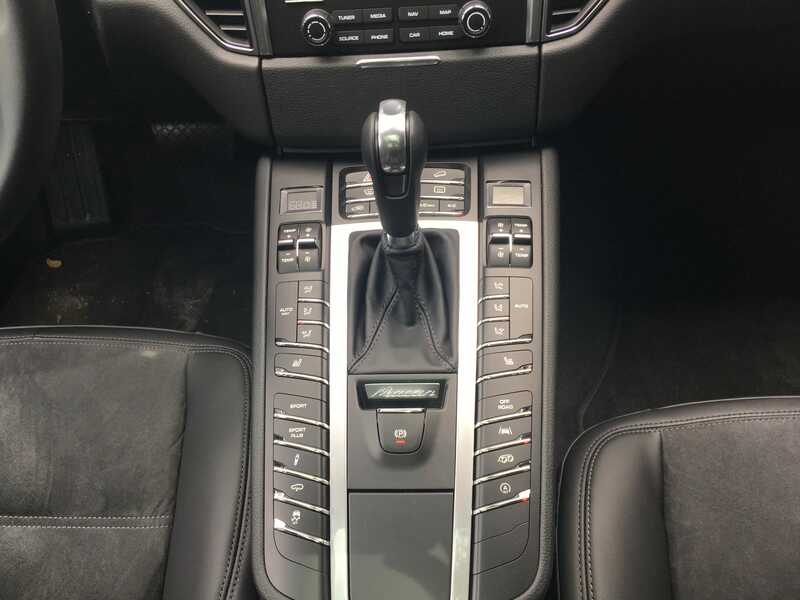 With options and fees, the as-tested price came to $US81,310. 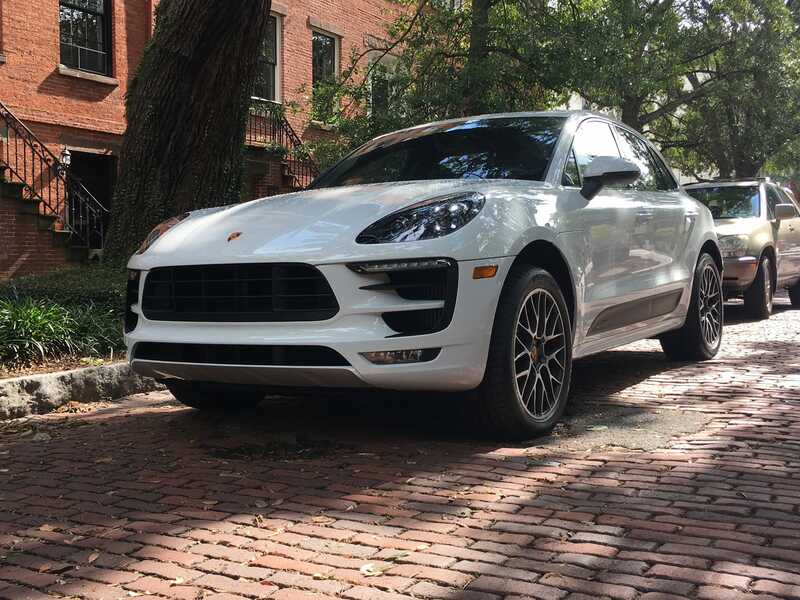 The Macan is one of the most successful compact luxury crossovers on the market. 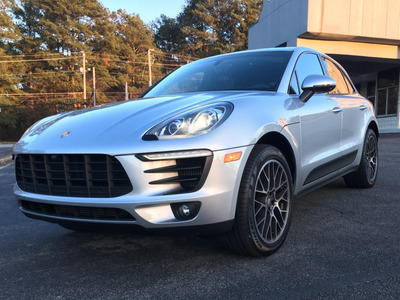 Since its debut for the 2015 model year, the Macan has become Porsche’s most popular model. 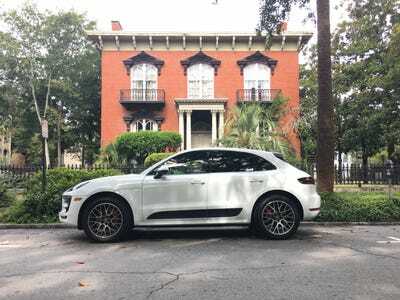 … The high-priced Macan Turbo and Turbo with Performance Package models. 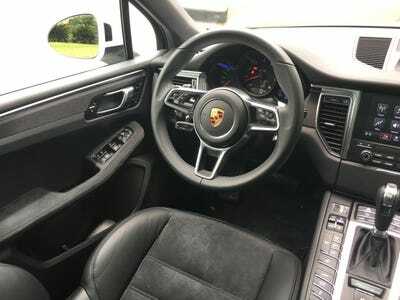 The Macan’s interior is standard Porsche and one you’ll likely recognise if you’ve set foot in any of the brand’s recent models. 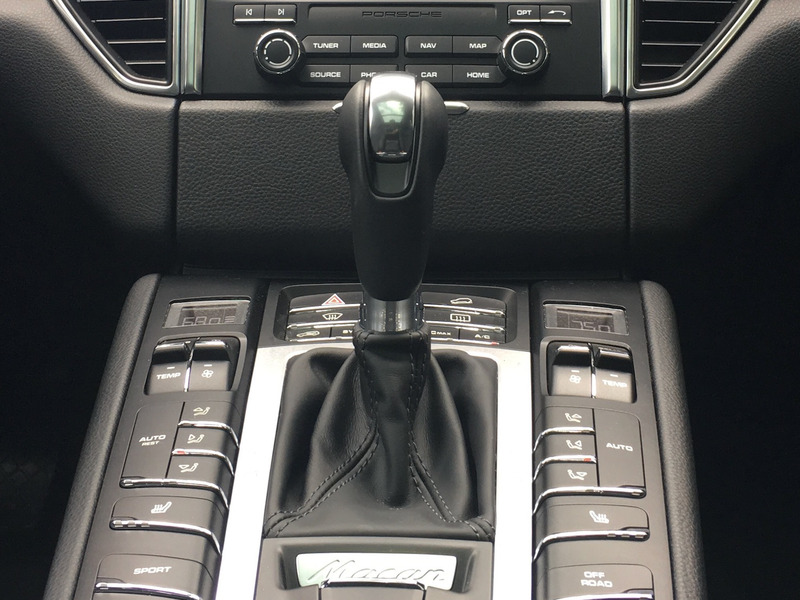 In the Macan, the cabin is all about business. It’s function over form. There are few frills to be found here. 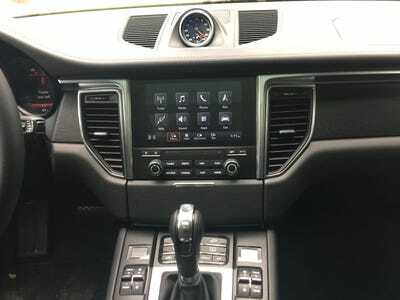 As evidenced by the button-laden center console. 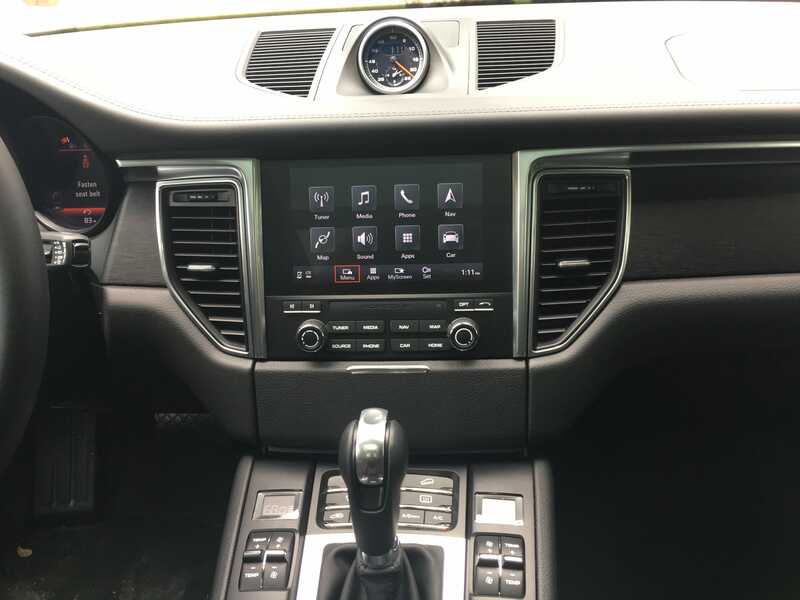 What may initially feel like an intimidating hodgepodge of switchgear is actually a very intuitively organised control panel. 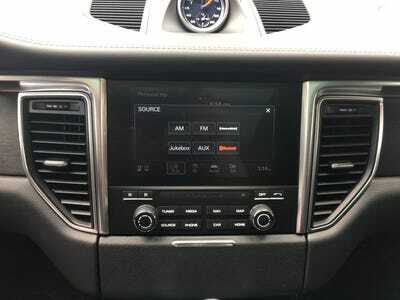 The panel is designed so that all of its features are easily accessible and within arm’s reach. 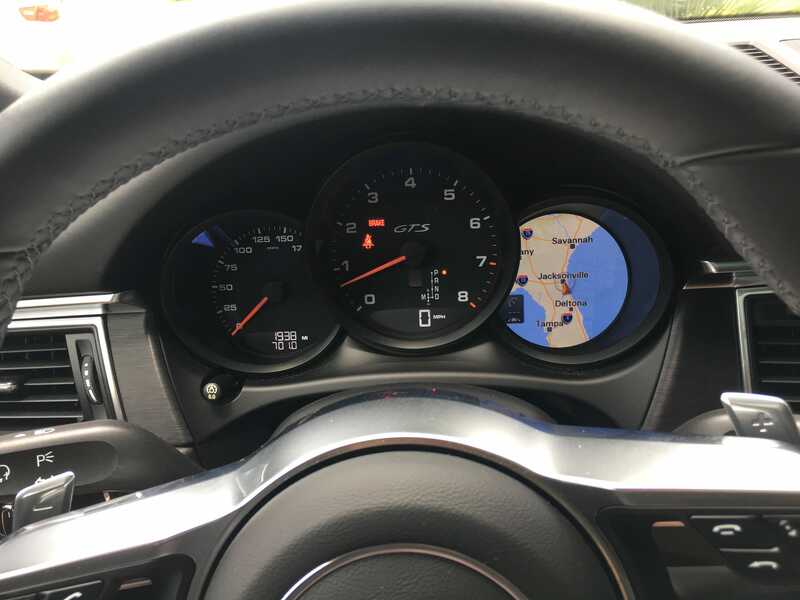 To the right of the tachometer, there’s a configurable digital readout. 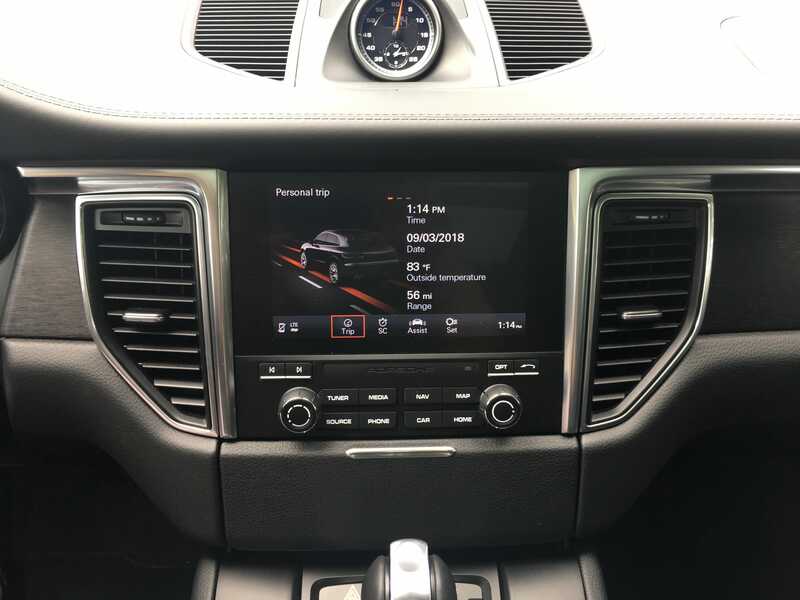 The Macan is equipped with a 7-inch touchscreen running the brand’s PCM infotainment system. 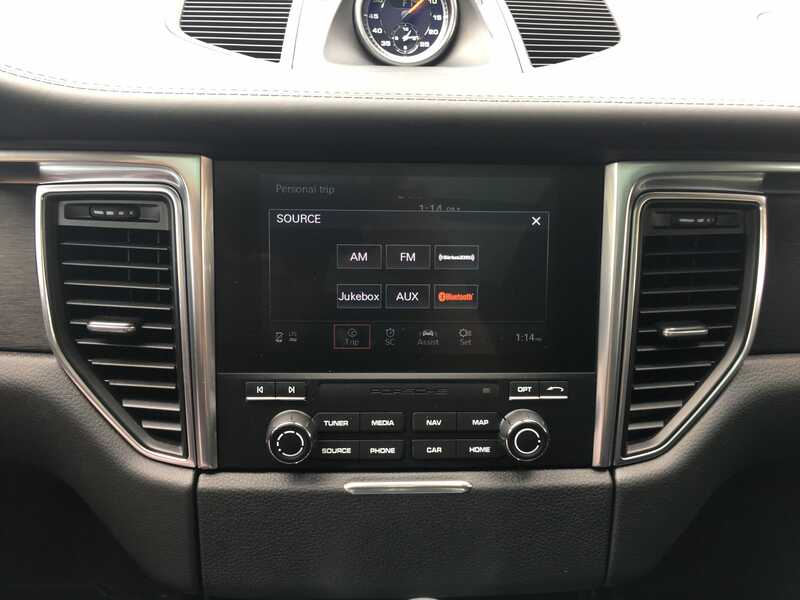 PCM is also tasked with controlling the Macan’s 14-speaker, 665-watt Bose Surround Sound system. 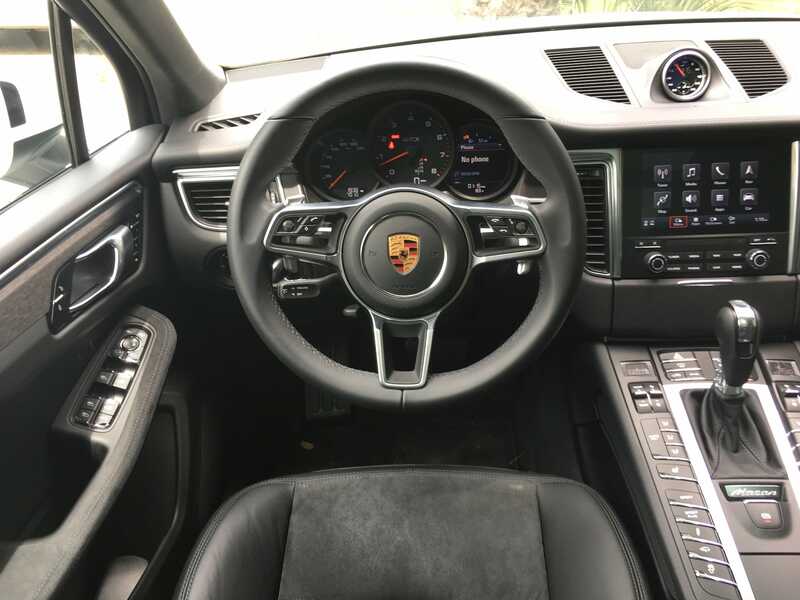 For the most part, PCM, or Porsche Communication Management, is a solid infotainment system. Its overall layout, although a bit dull in design, is logically organised and easy to learn. 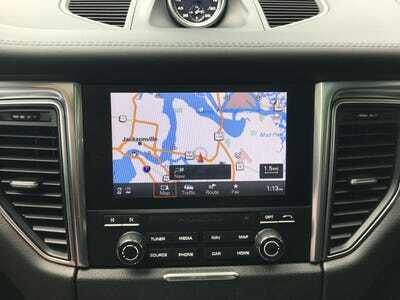 Our test car came equipped with a built-in navigation system. It’s a $US1,780 option. 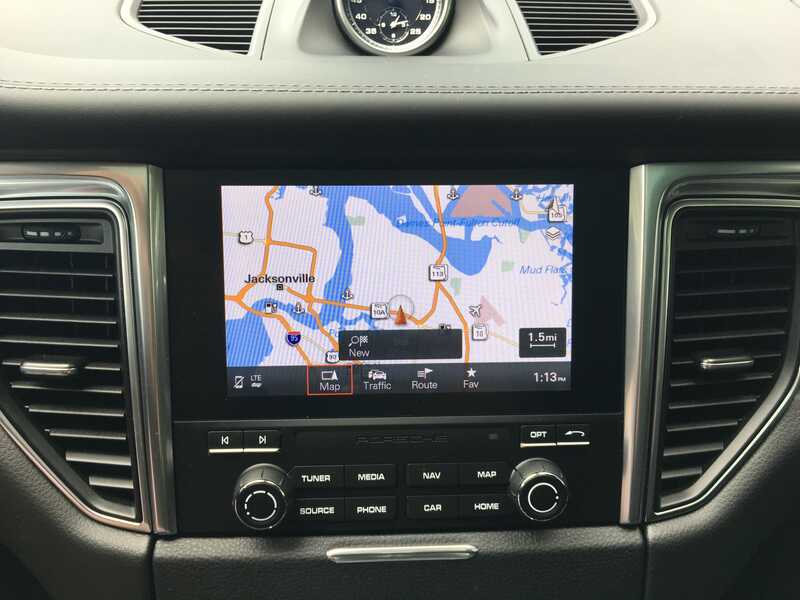 The system was easy to use and gave clear concise directions. However, the graphics felt a bit low quality. 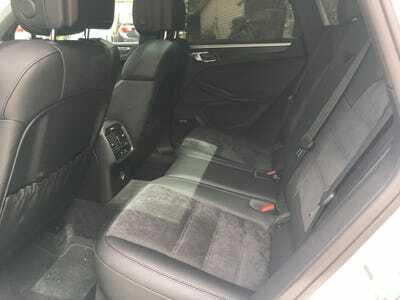 The rear cabin offers sufficient room for two adults. 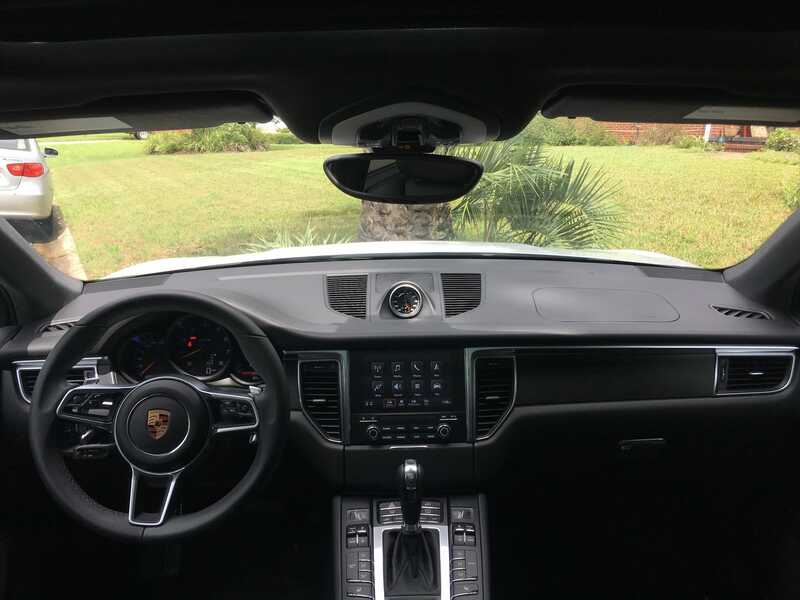 I didn’t have any issues, but those taller than six feet may find headroom to be a tad tight. 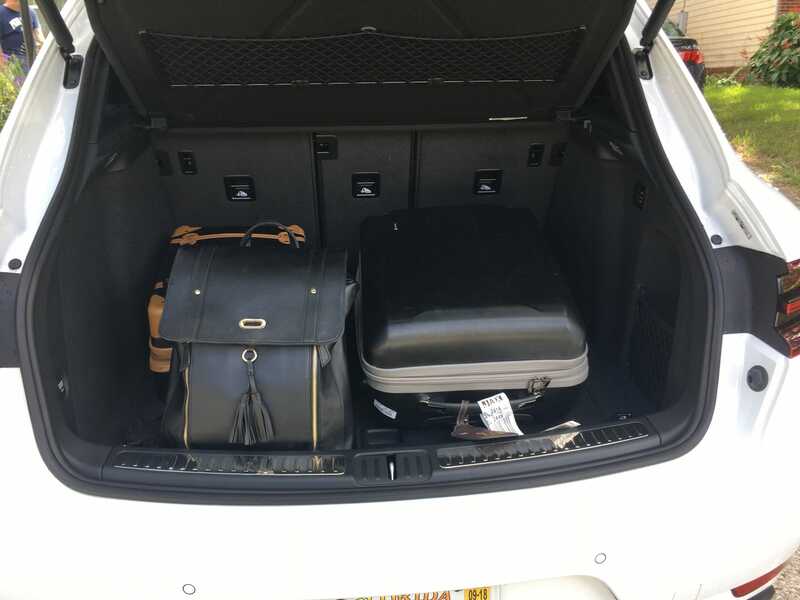 … and you’ll find 17.7 cubic feet of cargo room. With the second row of seats folded down, cargo capacity expands to 53 cubic feet. 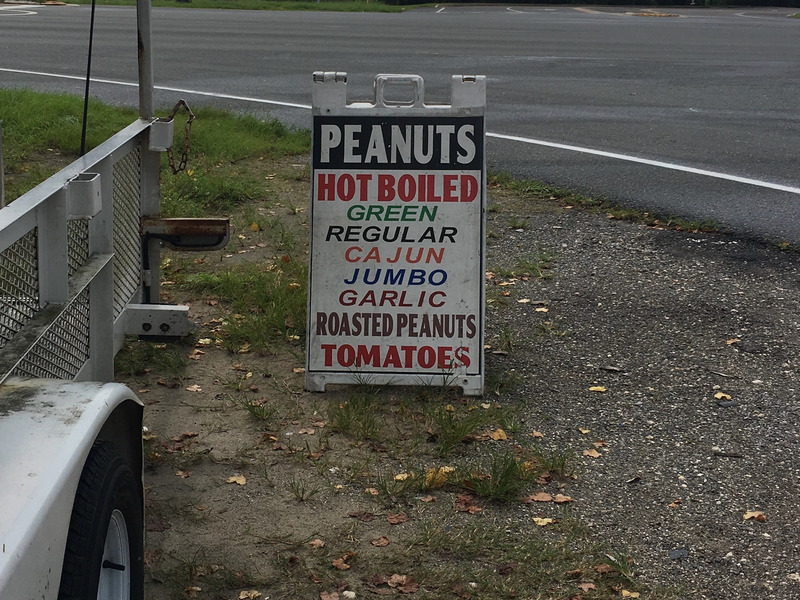 On the way, we stopped for some boiled peanuts. 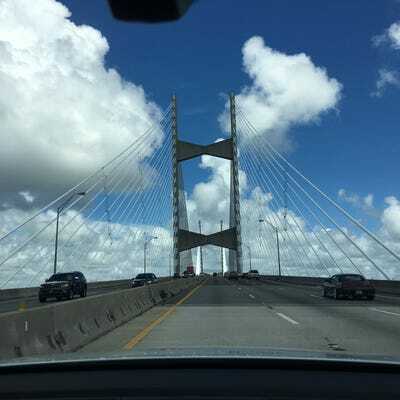 It’s a southern delicacy we’ve had to do without living in New Jersey. 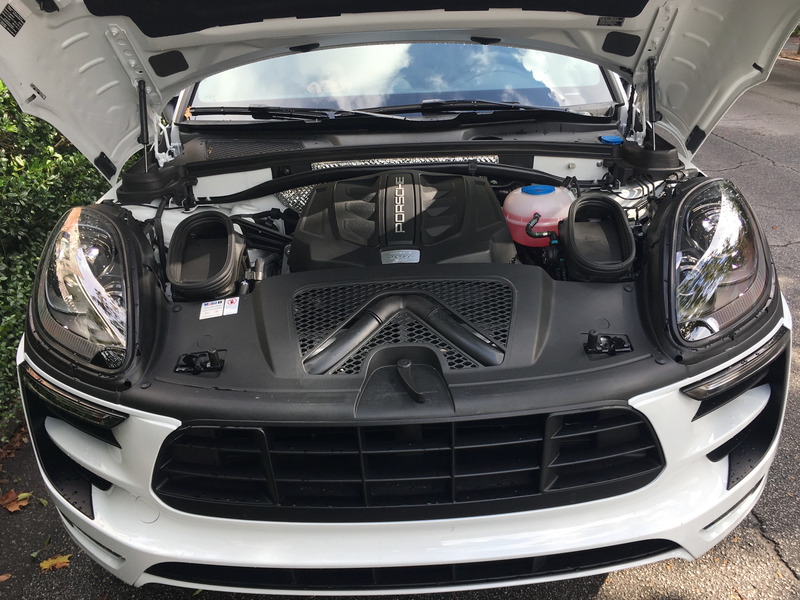 Under the clamshell hood, lies a 3.0 litre, twin-turbocharged V6. It’s the same engine found in the Macan S but with 20 additional ponies that push horsepower output to 360. 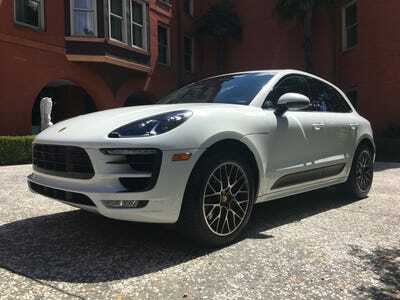 The base Macan and Macan Sport Edition are powered by a VW Group-sourced 2.0-litre, 252 horsepower, turbocharged inline-four-cylinder engine. Step up a tier to the Macan S and you get 340 horsepower. 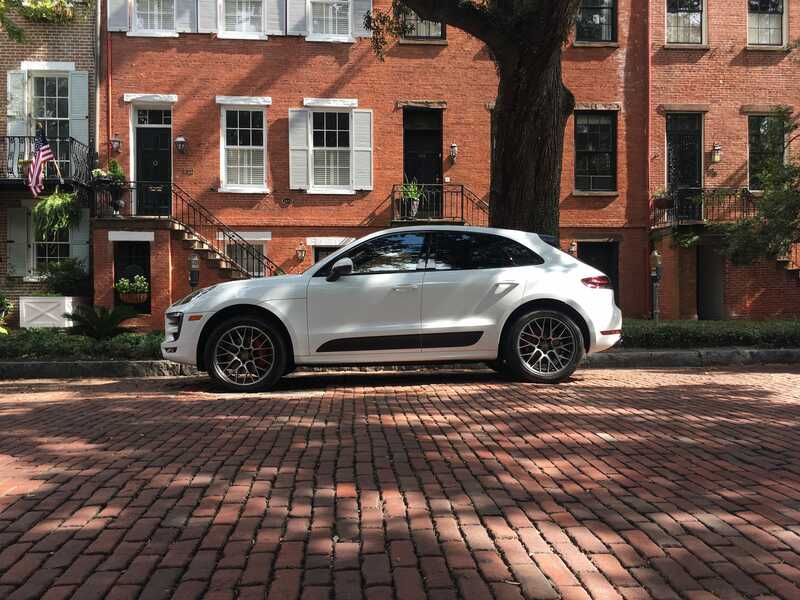 In the Macan Turbo, you’ll find a 3.6-litre twin-turbo V6 that puts out a stout 400 horsepower. With the Performance Package, Porsche ups the output 10% to 440 ponies. 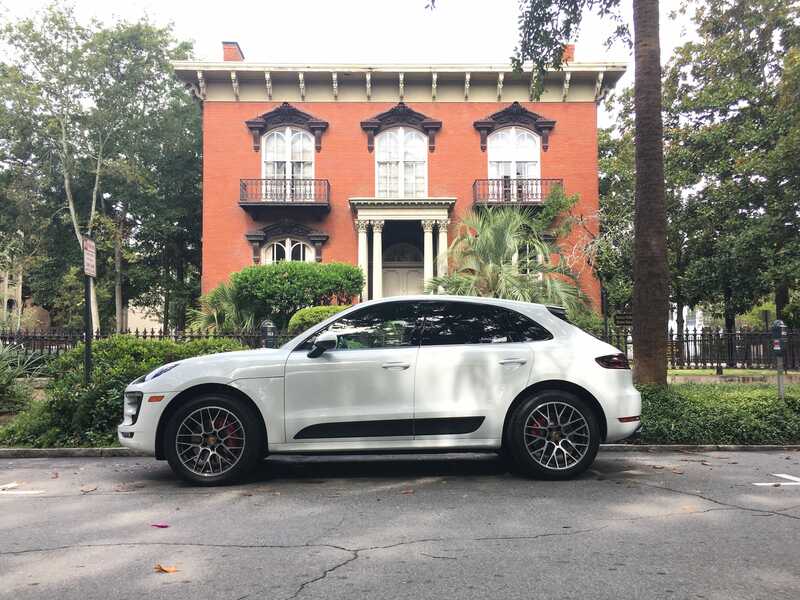 The Macan cruised comfortably around Savannah’s tree-lined streets. Here’s a look at the Porsche in the Garden of Good and Evil. The 2018 Macan Turbo with Performance Package we reviewed earlier this year is the best driving crossover SUV we’ve ever tested. But Macan GTS isn’t far off. 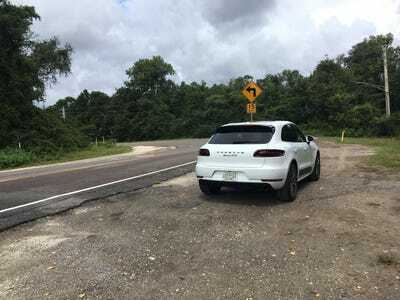 The decidedly flat coastal terrain wasn’t quite as exciting of a setting as rural New Jersey, but there were enough twists and turns to keep things interesting. 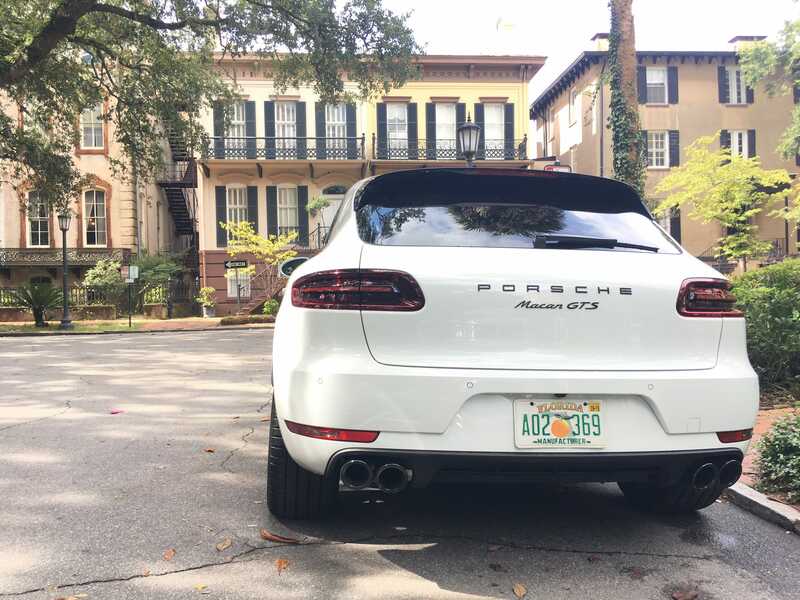 Earlier this year, we got the chance to check the top-of-the-line Macan Turbo with Performance Package. 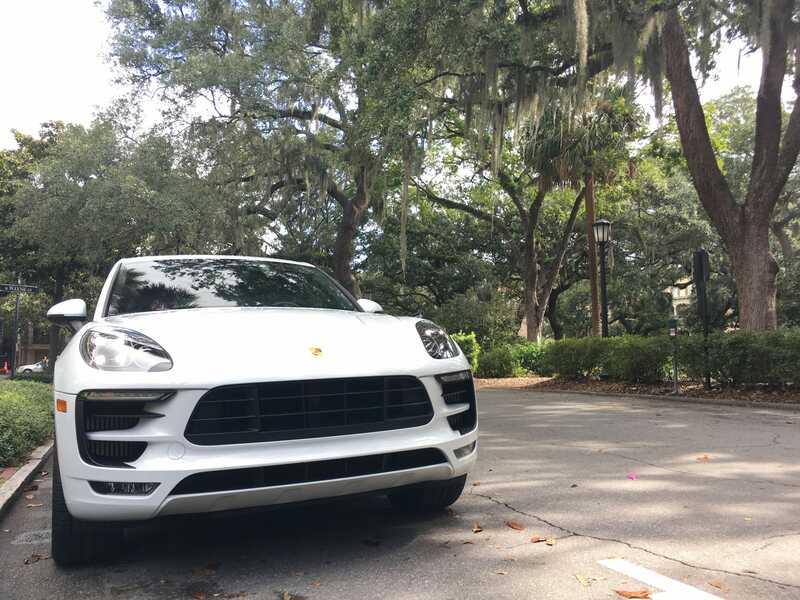 The Turbo was an absolute beast of an SUV with a top speed of 169 mph. However, at more than $US96,000, we found it to be quite a pricey proposition. 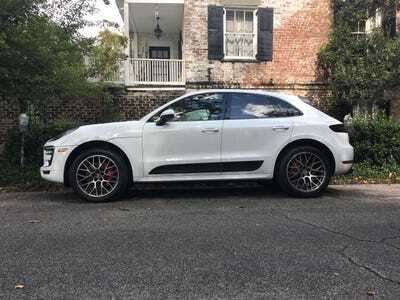 Traditionally, our Macan variant of choice is the more tame Macan S. With 340 horsepower on tap from a 3.0 litre, turbo six-cylinder, the Macan S delivers a slightly watered down version of the Performance Package experience, but for $US30,000 less. 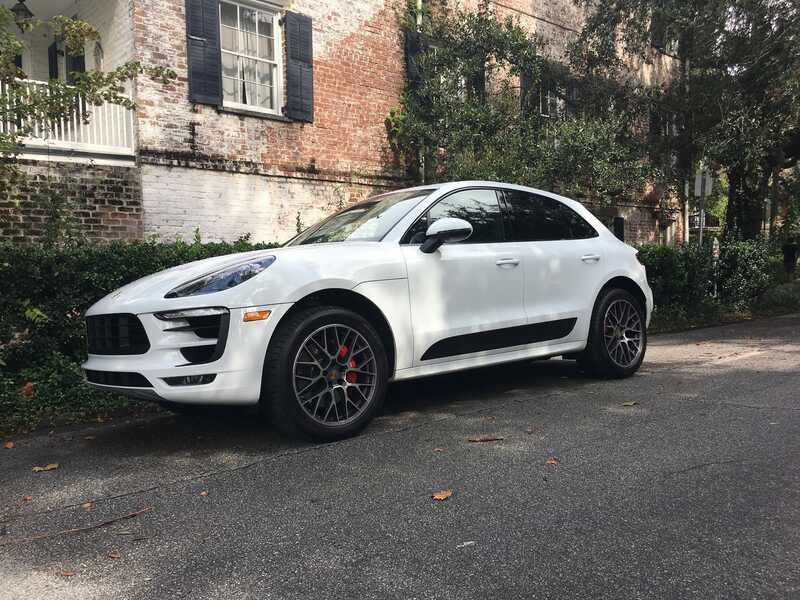 Here’s where the Macan GTS enters the fray. 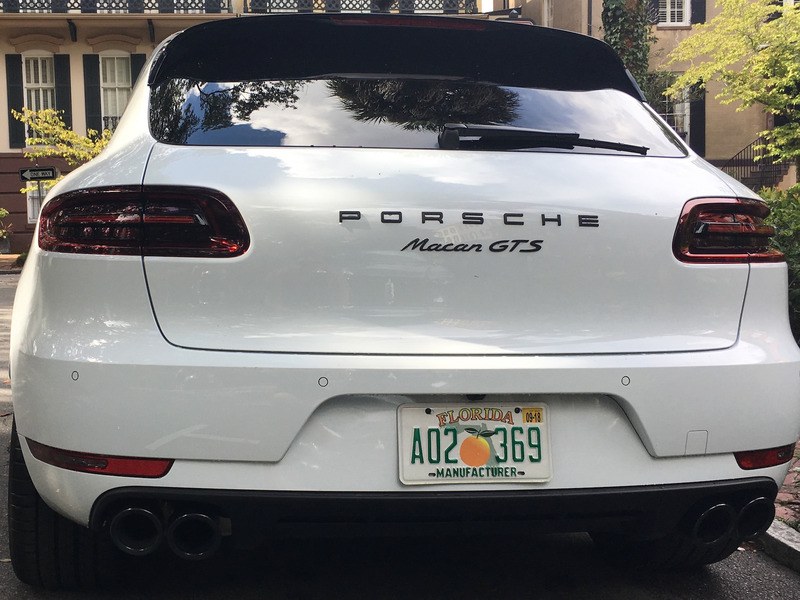 In Porsche’s lineup, the GTS variant of every model is traditionally a “performance value package” of sorts. 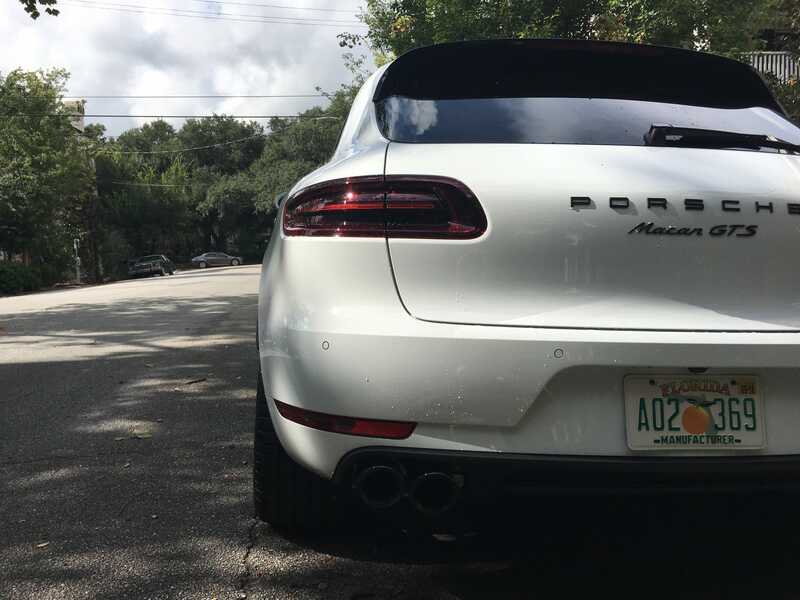 It’s no different here. The Macan GTS is based on the Macan S but with a slew of styling and performance extras such as a sports exhaust, air suspension, RS Spyder wheels, the Sport Design Package, and the Leather Package with Alcantara all included as standard. 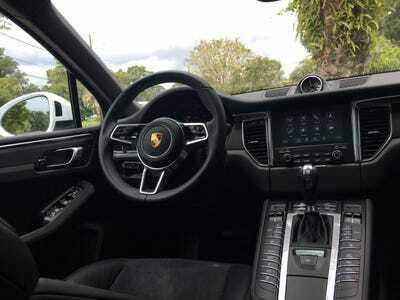 Altogether, the GTS package saves the buyer nearly $US4,000 when compared to the cost of adding these features a la carte on a Macan S. And then there’s the 20 extra horsepower. 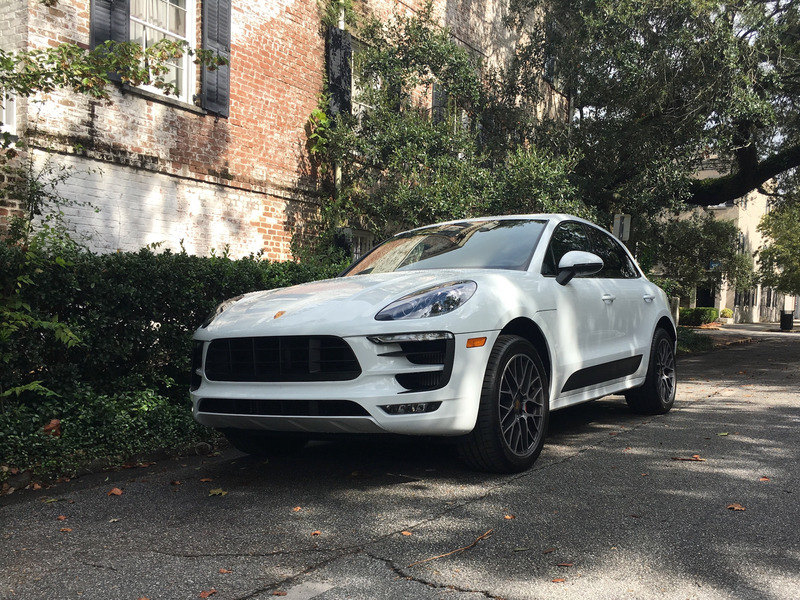 The 2018 Porsche Macan GTS reminds me of Goldilocks and the Three Bears. 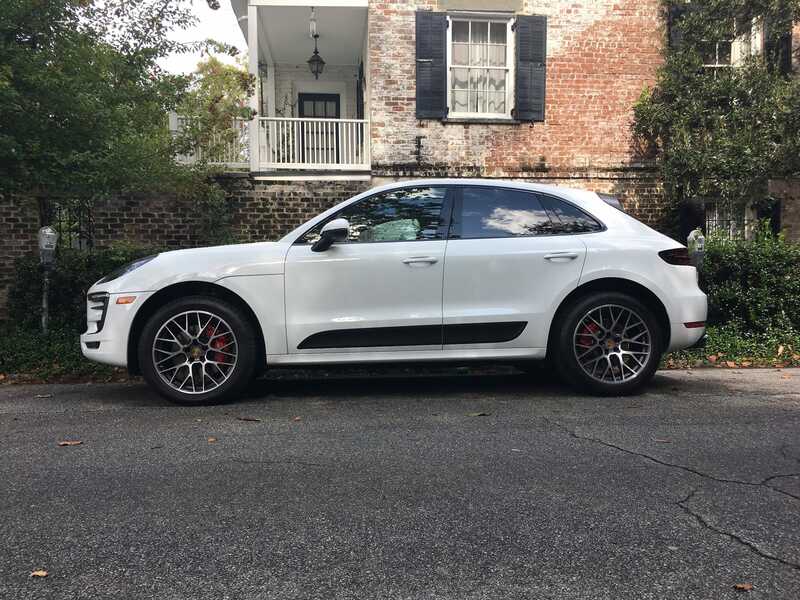 If the Macan Turbo is too pricey and the Macan S just doesn’t have enough go-fast goodies, then the Macan GTS is the happy place right in the middle.